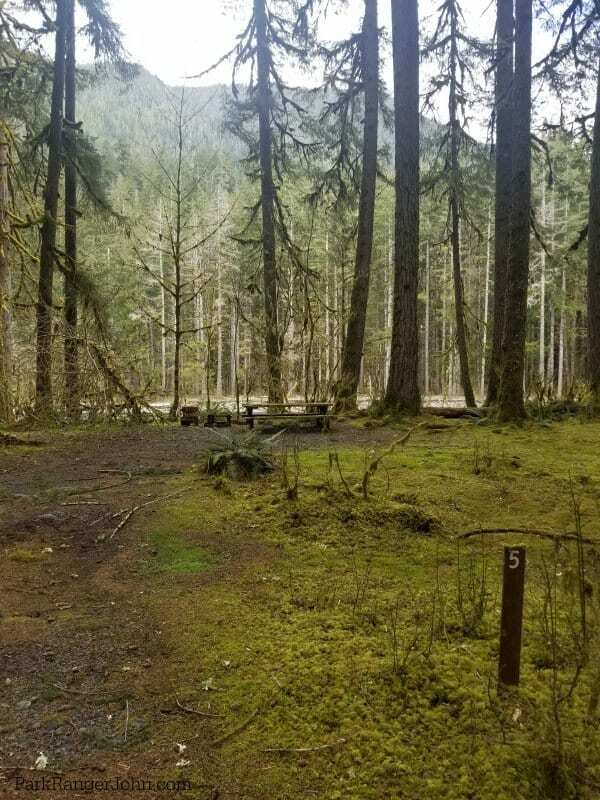 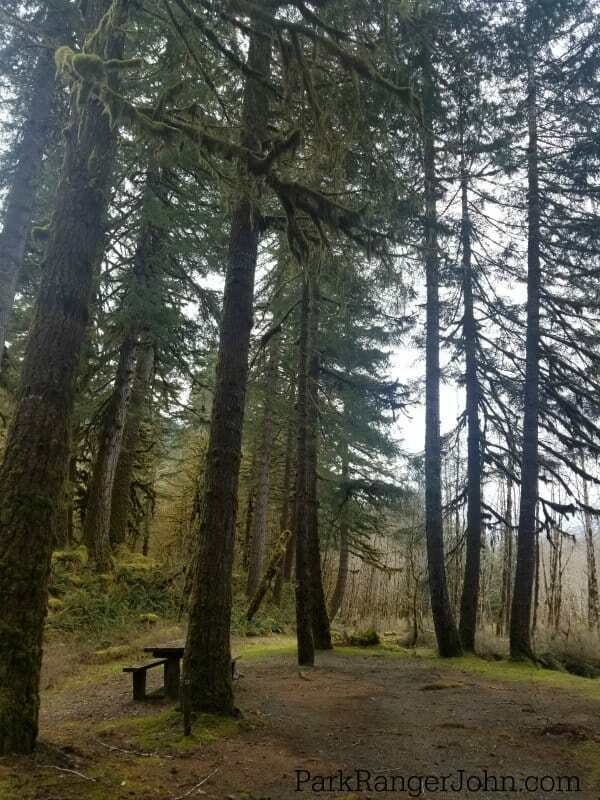 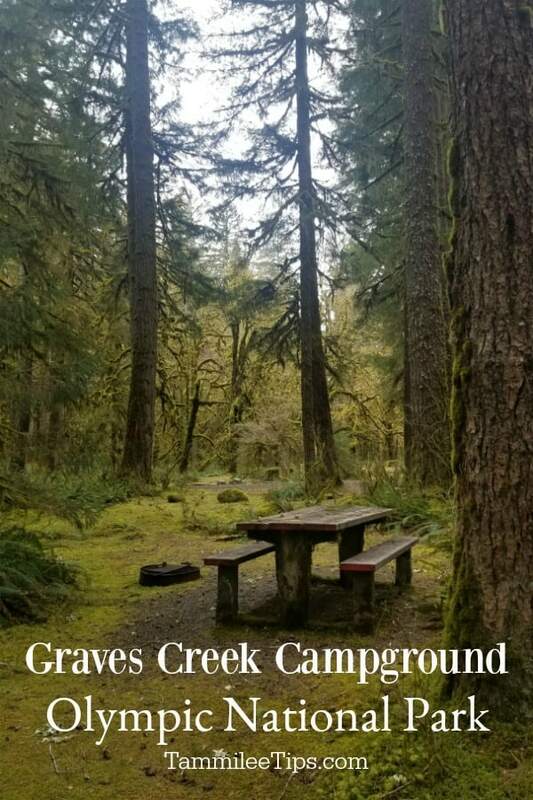 If you are looking for a primitive campground away from the crowds than Graves Creek Campground is Olympic National Park is the perfect camping spot! 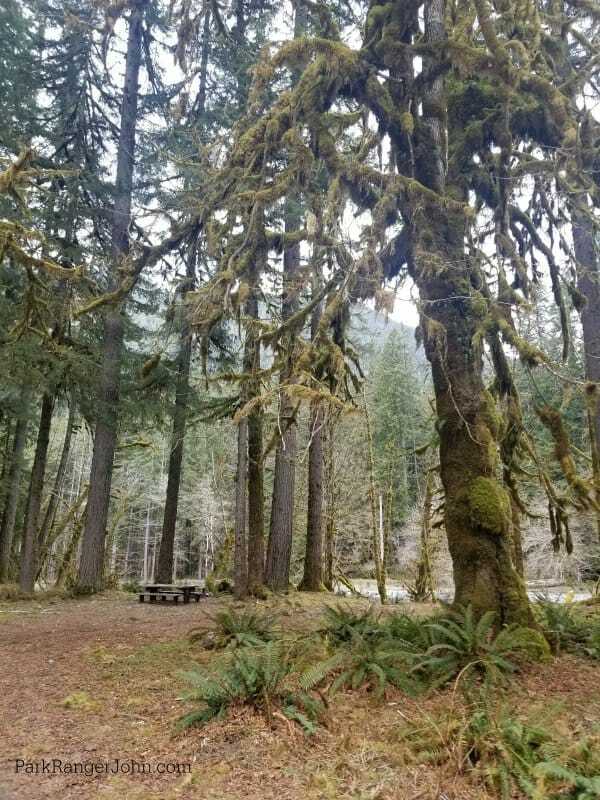 Tucked away near Lake Quinault this campground is surrounded by moss-covered trees, bordered by the east fork of the Quinault River and absolutely gorgeous. 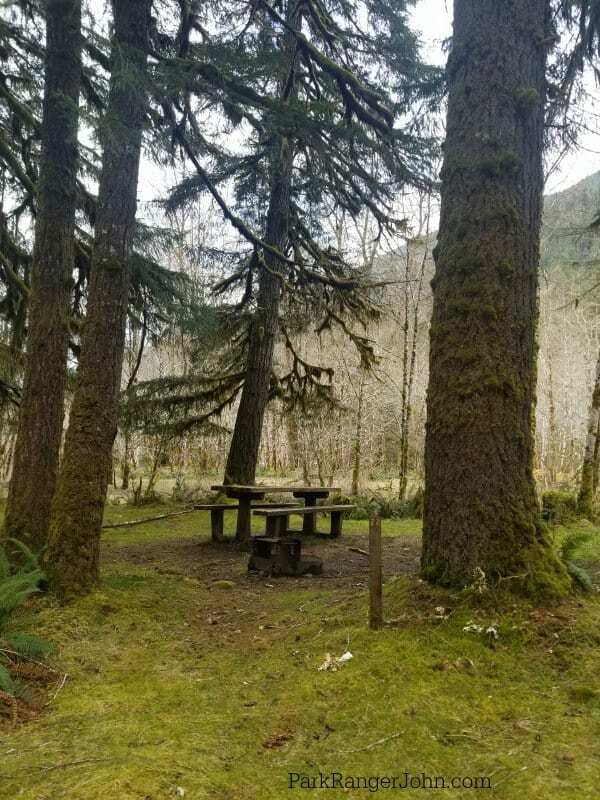 There are 30 campsites spread out around a central loop and along the river. 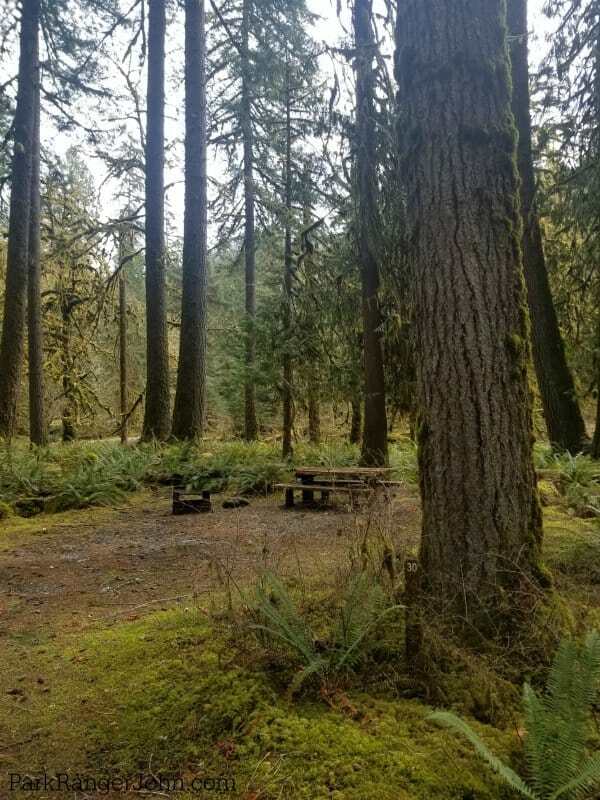 This first come first served campground offers the perfect place to get away from the world for a few days. 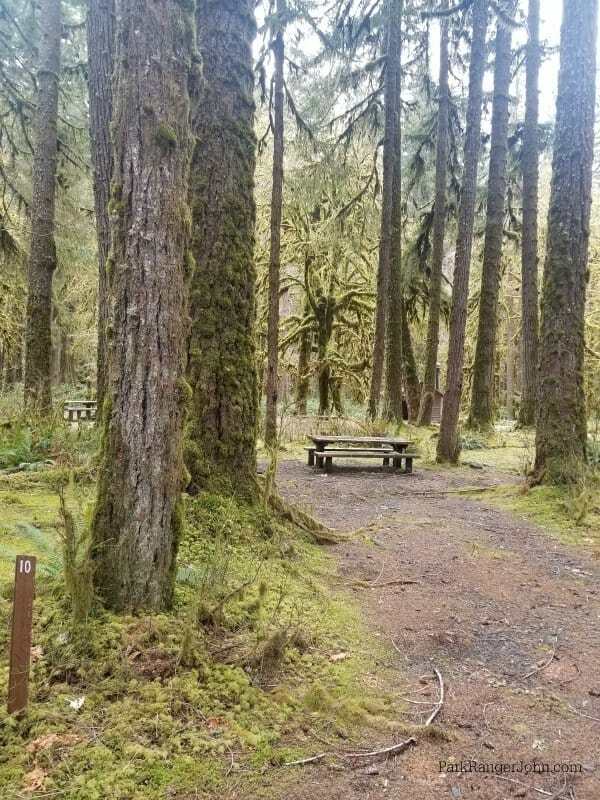 With no cell reception or wi-fi, you can truly become one with nature without any distractions. 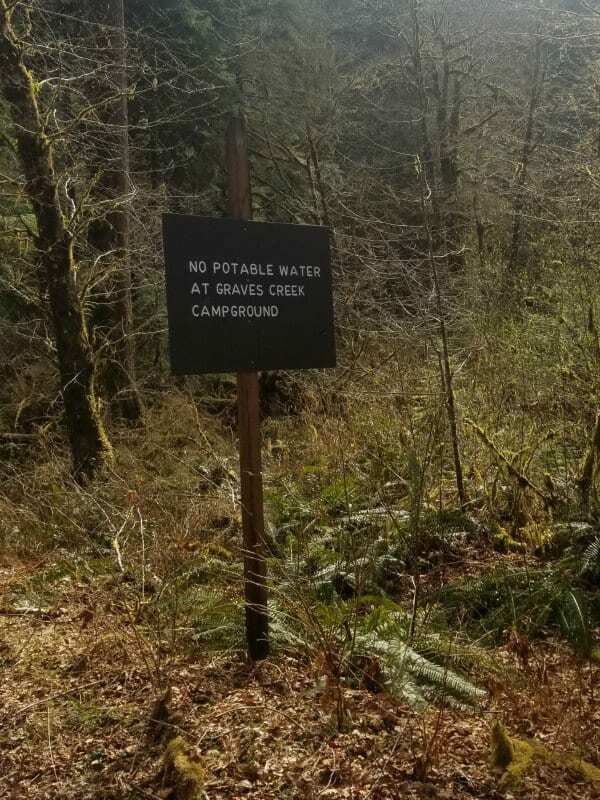 You will need to bring water with you since there is no potable water in the campground. 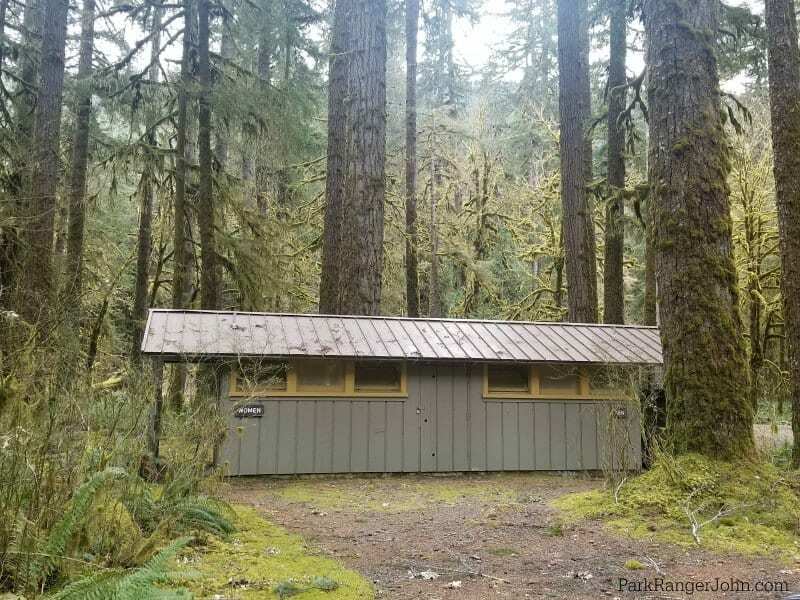 There are bathrooms on site near the campground loop. 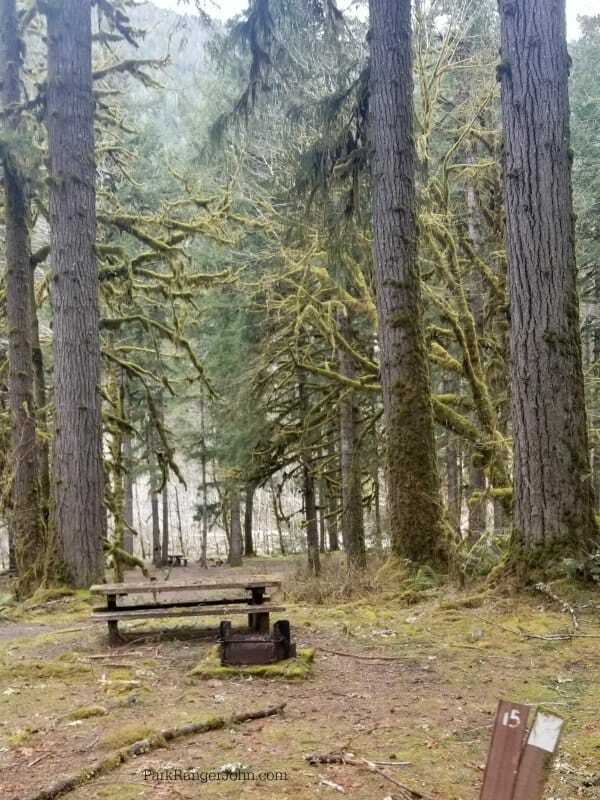 Bear boxes are available if you do not have a car to store your food in. 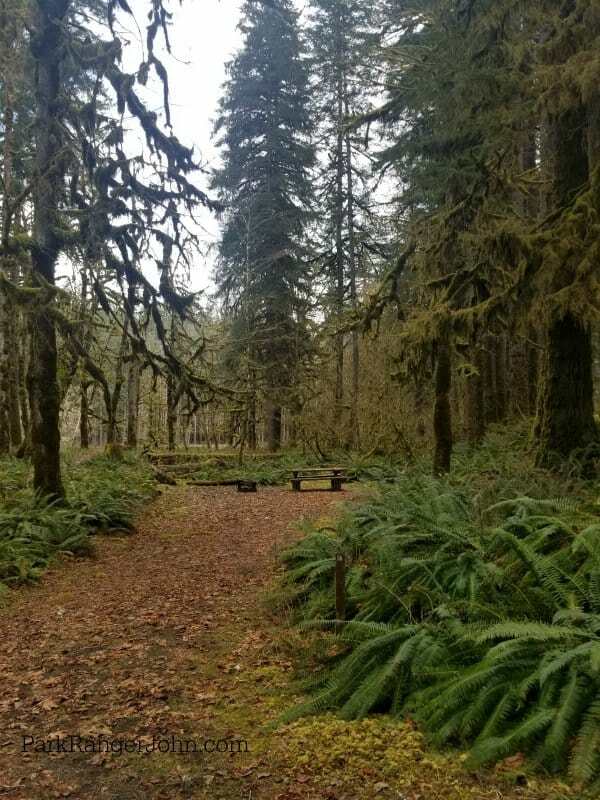 Accessible Sites: There are no paved sites within the campground. 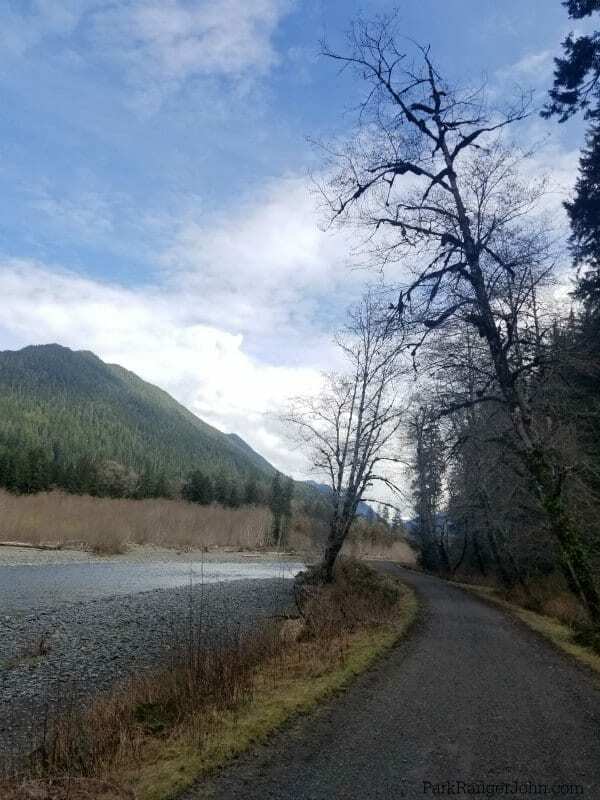 From Highway 101, turn towards the Lake Quinault Lodge. 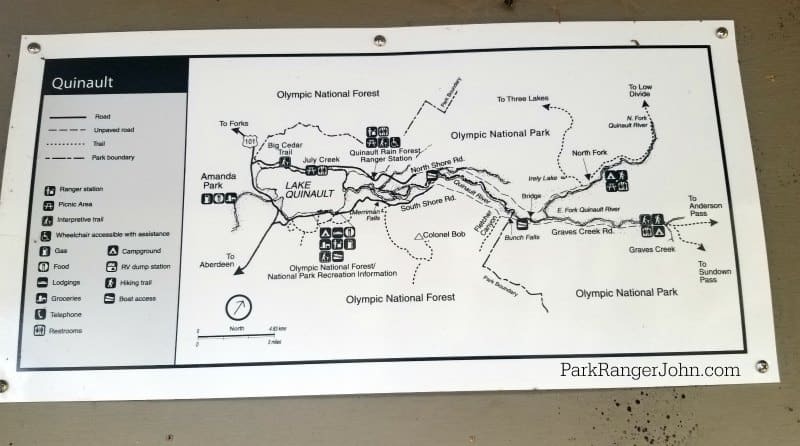 Pass the lodge and continue on the scenic lake drive. 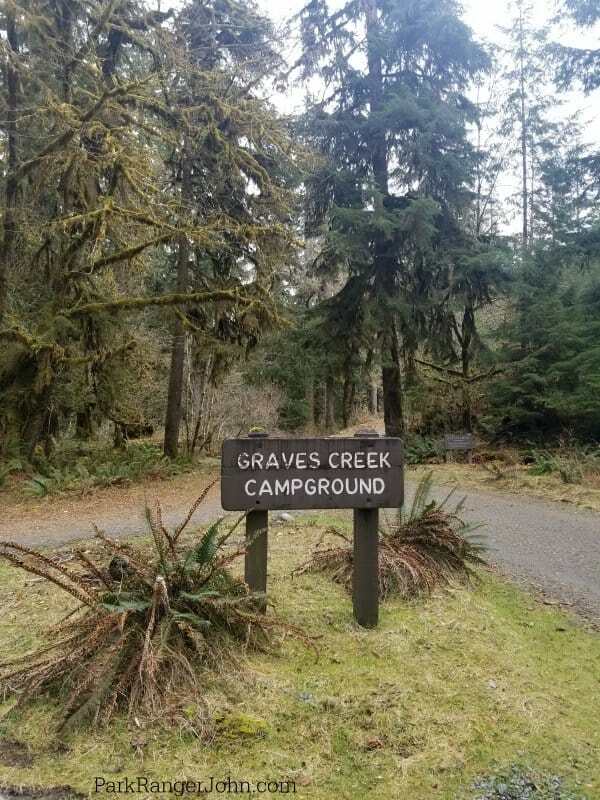 Graves Creek turnoff is along this road. 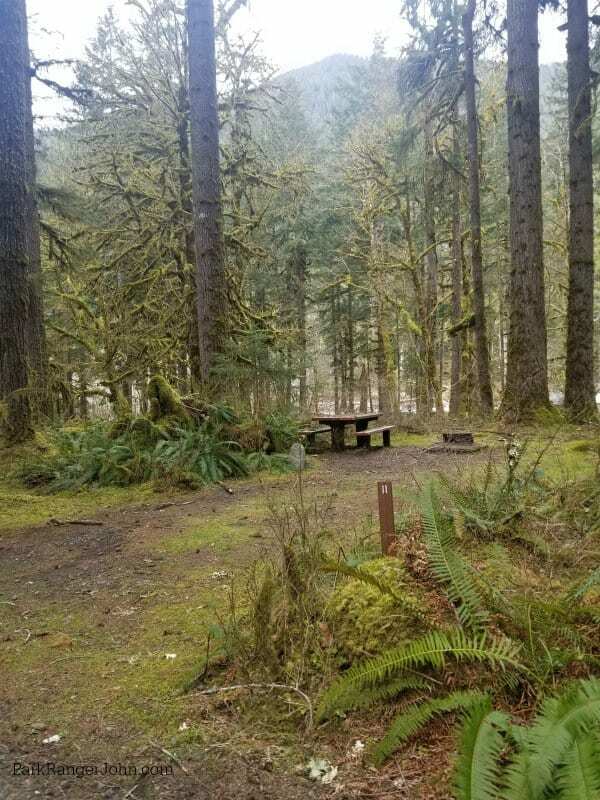 It is then a drive down a dirt road to the campground.